Provide comfort for the family of Jerry Lyle with a meaningful gesture of sympathy. 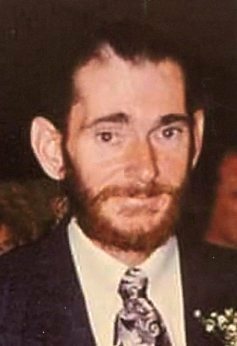 Obituary for Jerry H. Lyle Sr.
East Liverpool, Ohio - Jerry H. Lyle, Sr., 66, of Homewood Avenue passed away Saturday, January 19, 2019, at 5:05pm at the West Penn Hospital in Pittsburgh, Pennsylvania following a lengthy illness. Born April 26, 1952 at East Liverpool, Ohio he was a son of the late James Oscar Lyle and the late Betty Howell Lyle Hyde. A lifetime area resident and member of The House of Prayer, he was a laborer working construction out of Union Local #833. He is survived by his wife, Donna J. Lyle, whom he married June 19, 1999, at home. He leaves behind one daughter, Angela Hoder of Toronto, Ohio; and one son, Jesse Lyle and his fiancée, Ashley Chafins of East Liverpool. There are nine grandchildren and three great-grandchildren. In addition, he is survived by three sisters, Sally Paugh and her husband, Keith of Wellsville, Ohio, Sandy Barborak and her husband, Larry of East Liverpool, and Jane Noble and her husband, Denny of Geneva, Ohio; three brothers, Ross Lyle and his wife, Leah of East Liverpool, Archie Hyde and his wife, Jackie of East Liverpool, and Chuck Hyde of Lisbon, Ohio; and one sister-in-law, Jackie Lyle of East Liverpool. There also numerous nieces and nephews. Besides his parents, he was also preceded in death by one son, Jerry H. Lyle II; one granddaughter, Emily Hoder, and two brothers, John Lyle and Jay Lyle. Friends may visit the family on Friday from 1:00 to 3:00 and from 4:00 to 6:00 pm at the Dawson Funeral Home in East Liverpool. Pastor Kim Gadd of The House of Prayer will conduct a funeral service at 6:00 p.m. Friday at the funeral home. Immediately following the service family and friends will gather at The House of Prayer for a time of further fellowship and remembrance. To send flowers to the family of Jerry H. Lyle Sr., please visit our Heartfelt Sympathies Store. Provide comfort for the family of Jerry H. Lyle Sr. by sending flowers.